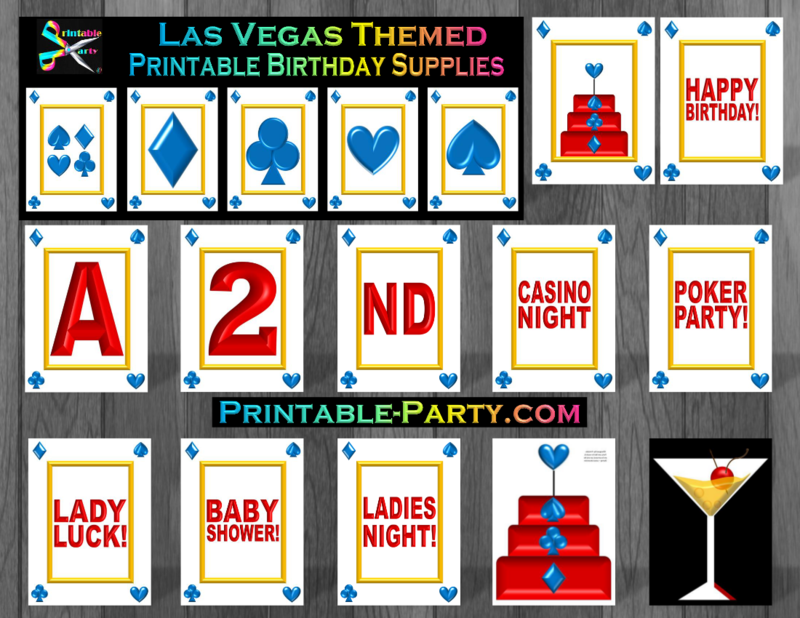 Printable Las Vegas party birthday decorations, that you can use to create a fab & stylish looking celebration. 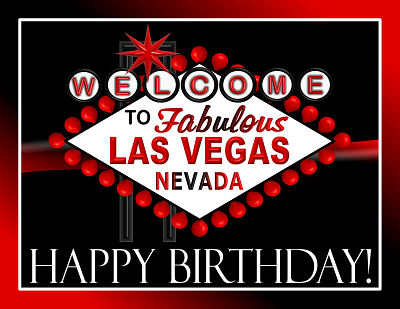 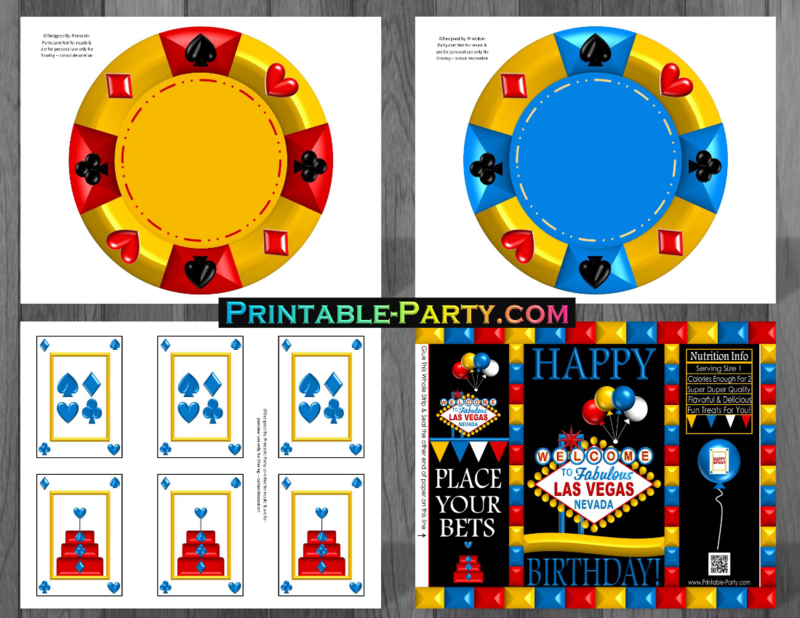 This printable fabulous Las Vegas birthday kit is hand designed with black, red, blue, yellow, & white colors for a cool completed look. 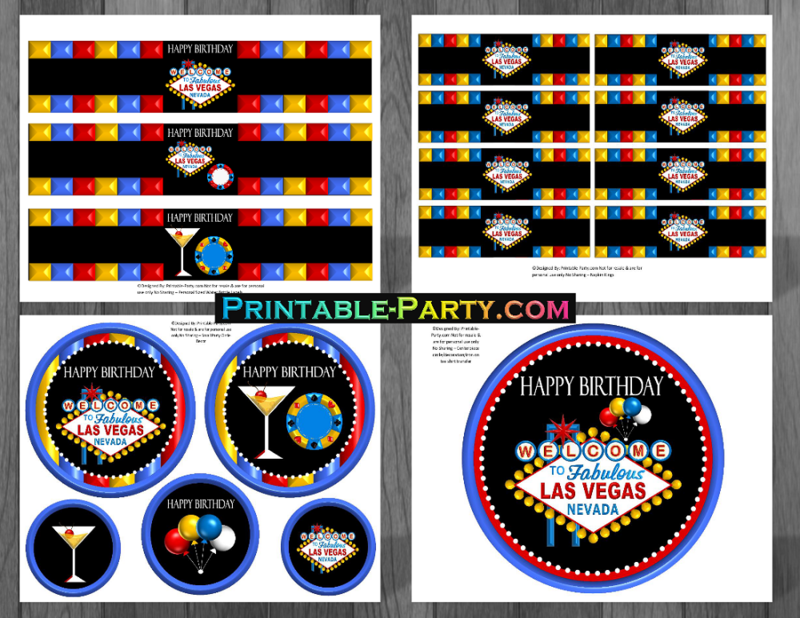 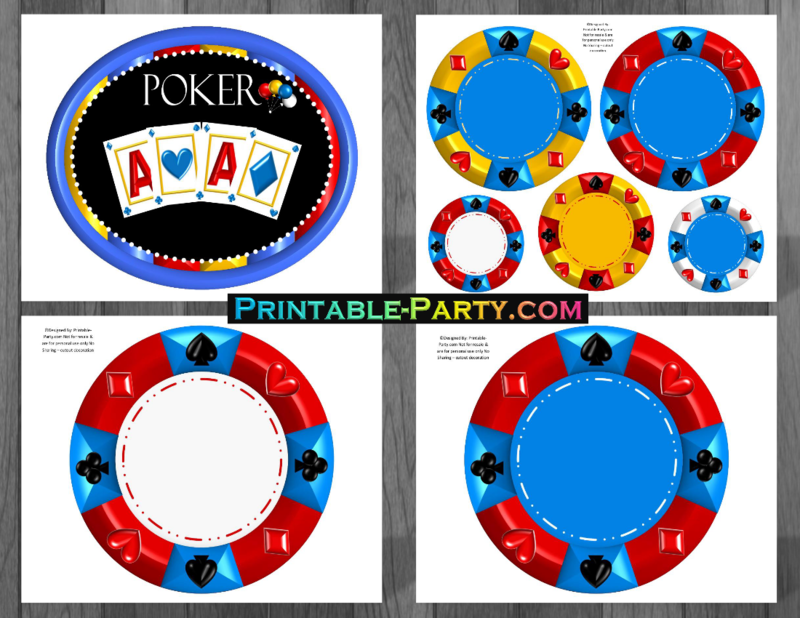 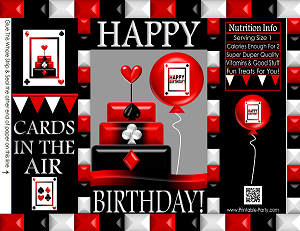 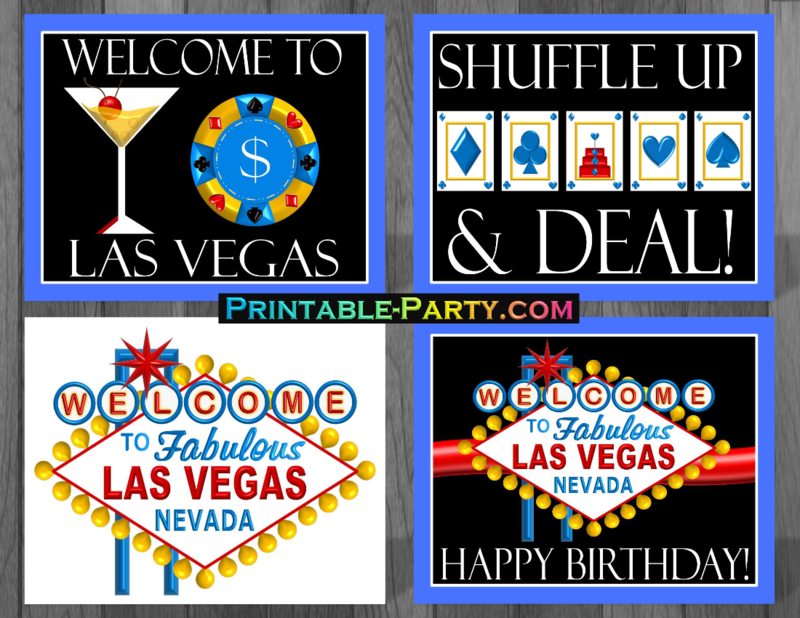 This Las Vegas birthday decorations pack is printable, and would be awesome looking when placed around themed featured party tables & guests areas. 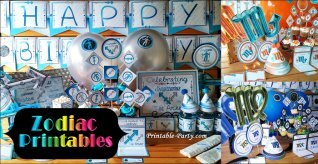 Solid color or matching balloons, table clothes, streamers, & other decorating accessories can be added to make this fun theme eye catching. 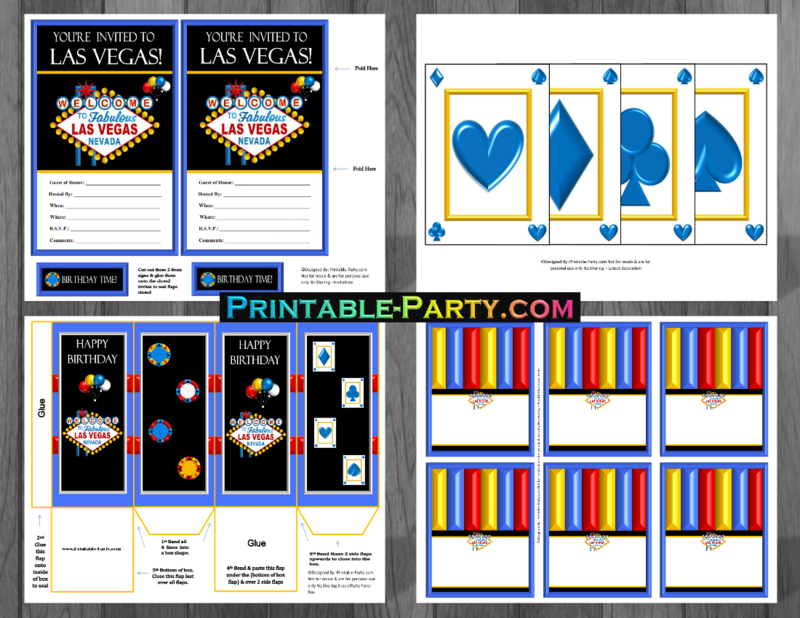 This casino party theme idea is made with card suites of spade, clubs, hearts, & diamonds. 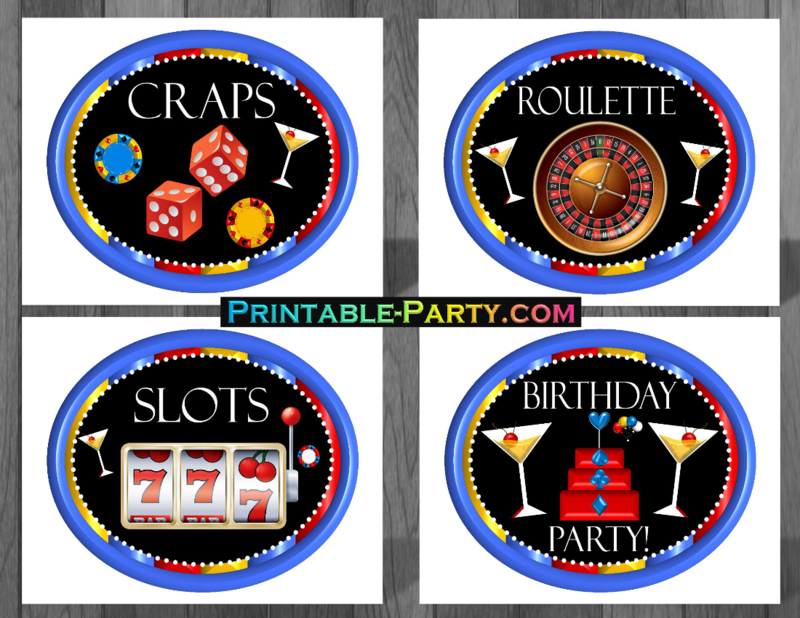 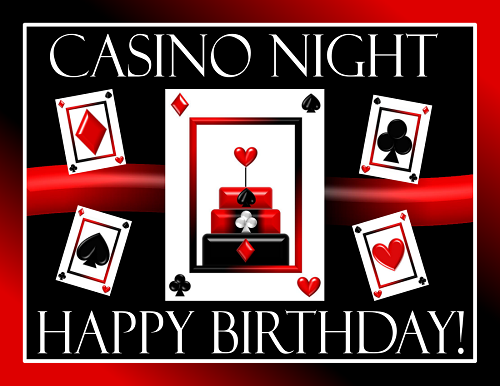 Creative casino cake graphics, casino chips, and playing cards are used throughout to create this theme. 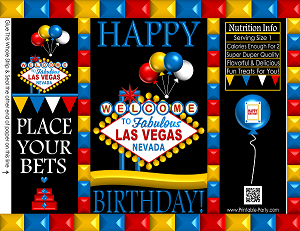 Shipped To Your Home or Postal Address. 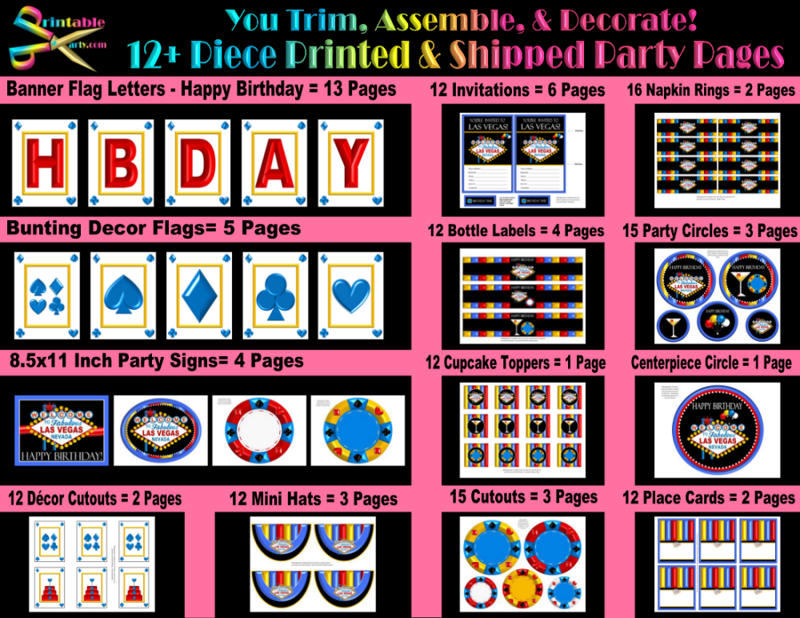 We print & ship party pages only! 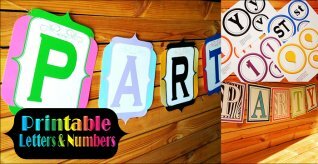 You trim & assemble. 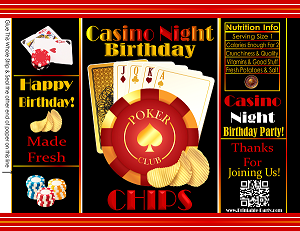 See what pages are included in the menu image below. 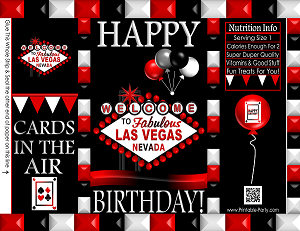 NOTICE: Favor bags, snack boxes, candy wraps, & standard hat pages are not included & can be added separately. 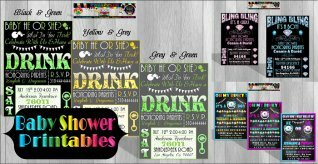 We print all DIY orders onto 110lb white card stock paper & flyer paper. 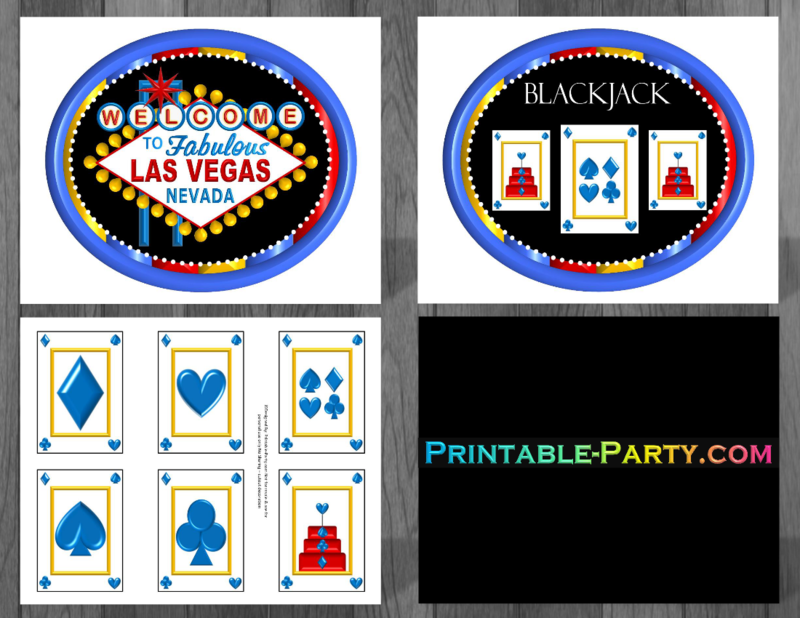 Shipping (USA ONLY): Please allow up to 10 days for print, ship, & delivery of your order. 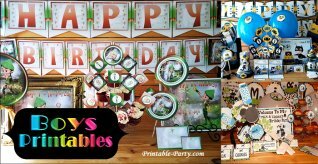 We ship via USPS priority mail & standard mail. 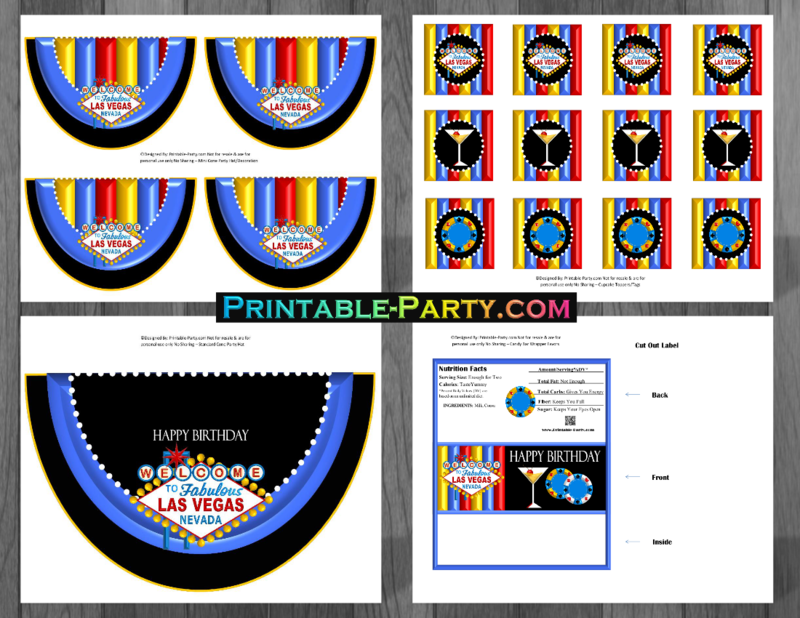 Orders that are mailed to you, will include all of your printed party pages in a big secure envelope. 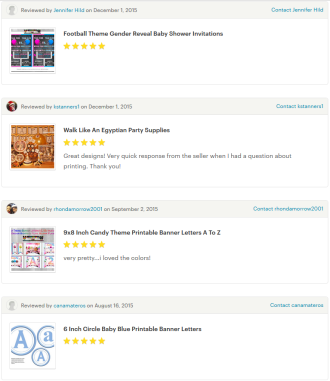 Paying By E-Check? 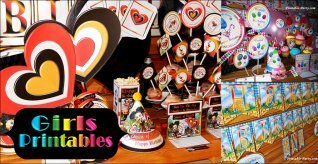 Orders will be shipped after payment has cleared. 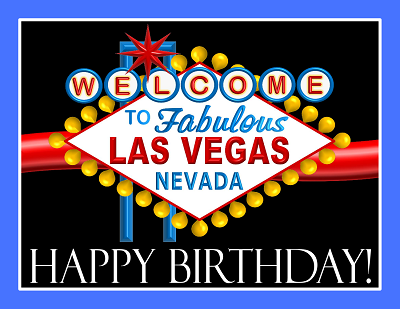 Takes up to 5 days to clear. 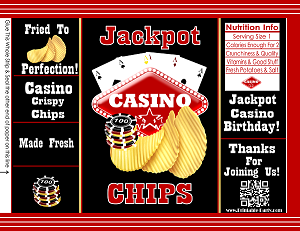 Printable Favor Bags For Chips, Cookies, Treats, & More! 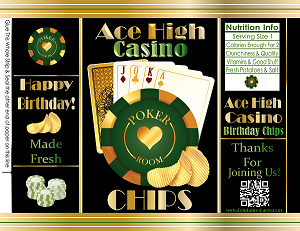 See More Chip Bag Favors Here!